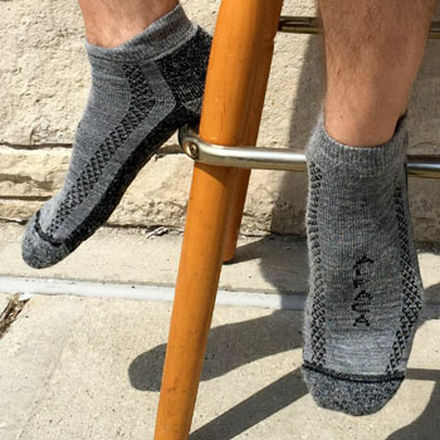 The Alpaca Slipper sock is unique with the non skid alpaca toes and silhouettes affixed to the bottom to keep you grounded. 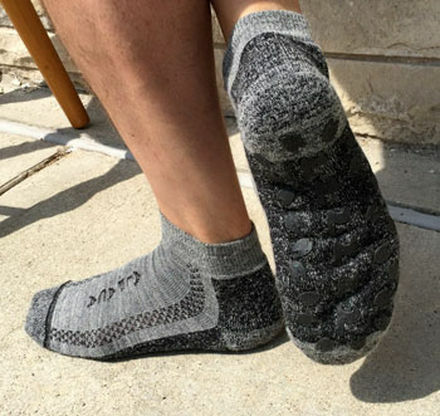 Ventilation panels line the top side of your slipper sock for extra comfort. Bottom plating ensures maximum longevity. Feet perspire 1/4-1/2 cup a day! Alpaca has a high evaporation rate, keeping your feet dryer. Therefore, suppresses odor. 3rd gen grey, from grey multichamps!